Lorelei has been making pottery for more than forty years. She attended Sierra Nevada College in Incline Village, Nevada, and earned a Bachelor of Arts degree with an outstanding achievement award in Ceramics. 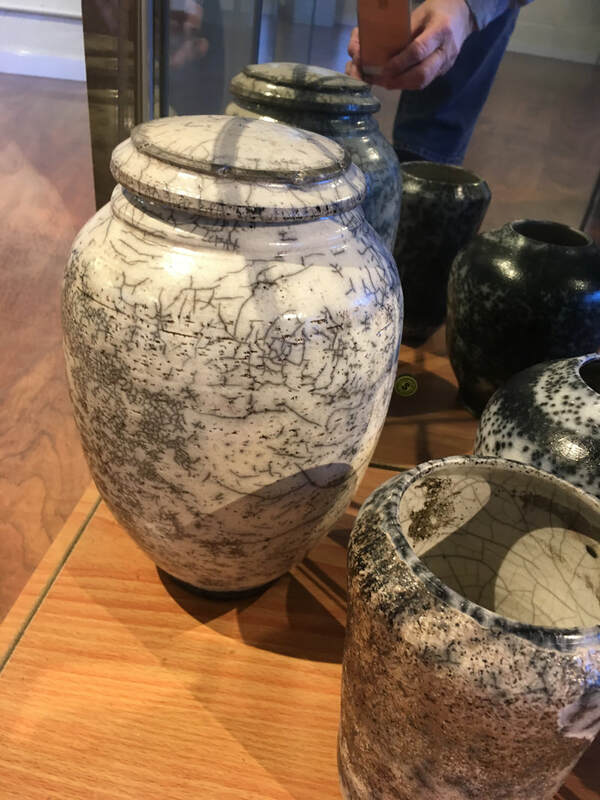 The study of pottery has taken her on a long journey thru kiln building, clay making, glaze formulations and many forms of pottery, including raku style, airbrushed, sculpted, slab, etc.